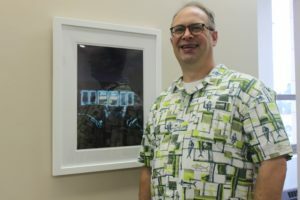 AKRON, OH— An Akron art teacher’s laser engraved photo documenting a building now gone from Arlington Street was awarded first place at the new Summit Artspace exhibition PHOTOGRAPHY NOW—The Art of Seeing. 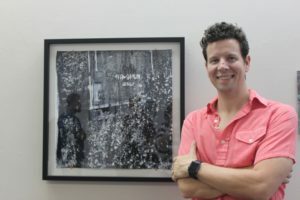 Micah Kraus, who teaches art at Archbishop Hoban High School and has shown work throughout the area, prepared the photo, Ho-Chun (Engraved Variation), by using equipment at the Akron-Summit County Public Library. The photo was created using a laser that removes the acrylic ink from the surface of the cotton paper. Kraus is an Akron resident. “I am interested in exploring my surroundings as an artist in order to investigate, archive, understand and discover. 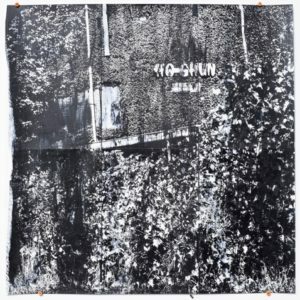 Whether the subject is overgrown and unkempt landscapes, weathered people or fading hand-painted signs, I am artistically excited and inspired to make a visual statement,” Kraus said. 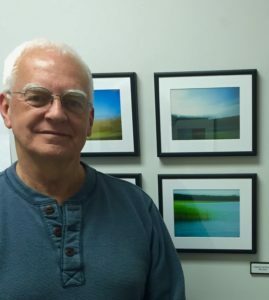 Displaying the work of 24 local photographers and artists, The Art of Seeing runs until Aug. 19 in the main gallery at Summit Artspace on East Market, 140 E. Market St., Akron. The exhibiting artists from both shows will participate in a panel discussion about their work on Thursday, Aug. 10, 7 p.m., in the gallery. Seating is limited. The event is free and open to the public. Please register here by Aug. 10: ow.ly/AtwI30czAxr. Second place went to Canton resident Oxana Dallas, a graduate student at the Kent State University School of Art, for Fragile Beauty of Hope. 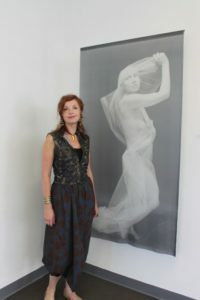 Her life-size photo is printed on chiffon and suspended out from the wall to react to the movement of air. Dallas’ piece with its quality of ancient statuary tells the poignant story of a friend facing a mastectomy. Photographer and subject worked together to preserve her fragile beauty caught forever in that exposure. “I tried to seal the moment of fragility, strength and helplessness in the face of illness and uncompromising in the decision to fight to the last,” Dallas recounted. Now retired, Benedetti worked at Kent Roosevelt High School with students who had learning disabilities. 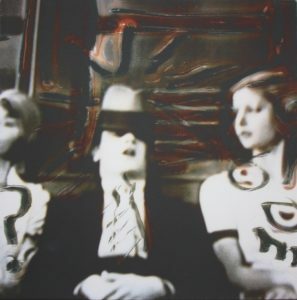 He has been a working artist since 1969 and has had pieces in the acclaimed Cleveland Museum of Art May Show. 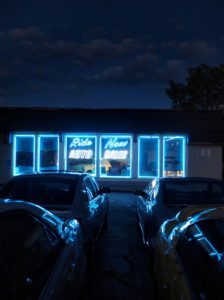 Medina resident Adam Bernard was awarded an honorable mention for his digital photo, Ride Now Auto Sales; Medina OH. Bernard manipulated the image of midnight blue and neon in a pale blue cast to create a depth of sky and visual curiosity of the reflected chrome from the cars in the lot. The repeated geometric shapes of the neon lights draw the viewer in as if walking between cars toward the glow. Bernard worked as a photographer for Sun Newspapers. “Out of reverence for the documentary and street photographers of the 20th century, I treat my digital camera as if it were loaded with a roll of old-fashioned Kodachrome 35mm slide film. 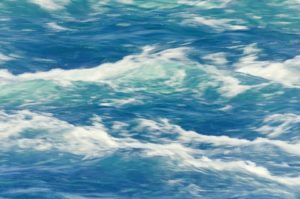 I capture beauty by composing my photographs using available elements of our planet; light, space, time, surface and color,” explained Bernard. With 25 works in the main show, the pieces include images presented on paper, transparency, through projection or in some other format. 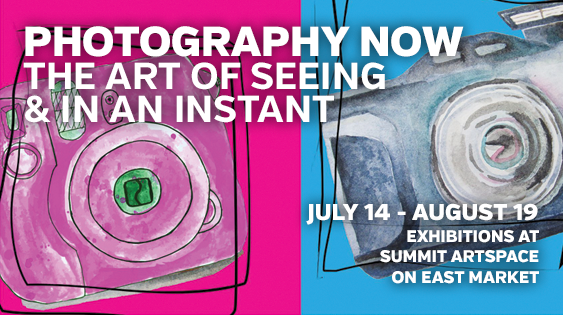 What unified the exhibition is that each selected work represents the intersection of personal creativity and engagement with some form of photographic technology in order to explore the art of seeing at this moment in time, whether the gaze is turned outward or inward. at the Myers School of Art since 1995 and is currently teaching in the Arts Administration program at the university. He also served in curatorial and collections posts at the Akron Art Museum. Tunstall is active in the regional arts community by exhibiting his own artwork and is on the board of directors of SPACES Gallery, Cleveland and The Akron Soul Train. 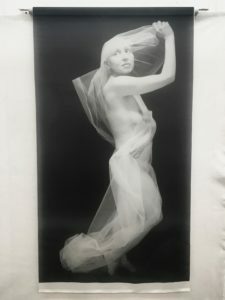 “When searching through the many images entered for this exhibition, I was struck by the incredible amount of choices available to image makers today. While much of the subject matter submitted was traditional, images depicting the natural world were dominant and there was also a fair amount of abstraction; the execution was often where the variety of today’s options were exploited. 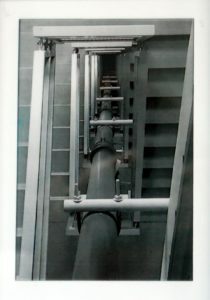 Look carefully, some of the images that appear the most abstract and manipulated are straightforward and 0thers that appear “normal” have often gone through multiple layers of manipulation,” Tunstall wrote in his juror’s statement. 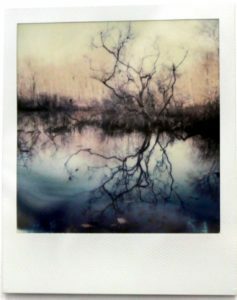 Alongside The Art of Seeing is an exhibition of instant photography, IN AN INSTANT, with 33 works from nine area photographers and artists. 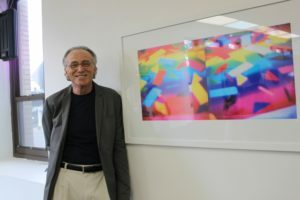 The exhibit is curated by Akron photographer Don Parsisson and is open to the public until Aug. 19. Instant photography is enjoying a renewed and growing popularity. New instant films and cameras are available to a new generation of photographers as well as those who fell in love with the original Polaroids. Parsisson pointed out that probably the most famous artist to use the medium was Andy Warhol who captured images of celebrities and the famous on the instant film. The exhibiting artists from both shows will participate in a panel discussion about their work on Thursday, Aug. 10, 7 p.m., in the gallery. Seating is limited. The event is free and open to the public. Please register here by Aug. 10: ow.ly/AtwI30czAxr. Gallery hours are Thursdays and Fridays, noon to 7 p.m., and Saturdays, noon to 5 p.m. The shows are free and open to the public. Open hours also include Artwalk on Saturday, August 5, when the galleries will be open from noon to 9 p.m. Artwalk, a continuation of the free popular downtown event every first Saturday of the month, will feature art talks by resident studio artists, pop-up shops and music at Summit Artspace from 5 to 9 p.m. In addition, Summit Artspace on East Market will participate in the new downtown event, 3rd THURSDAY, July 20 and Aug. 17, 5 to 9 p.m.